We get a lot of reader questions about how a certain trend or style would look on their individual body shape. 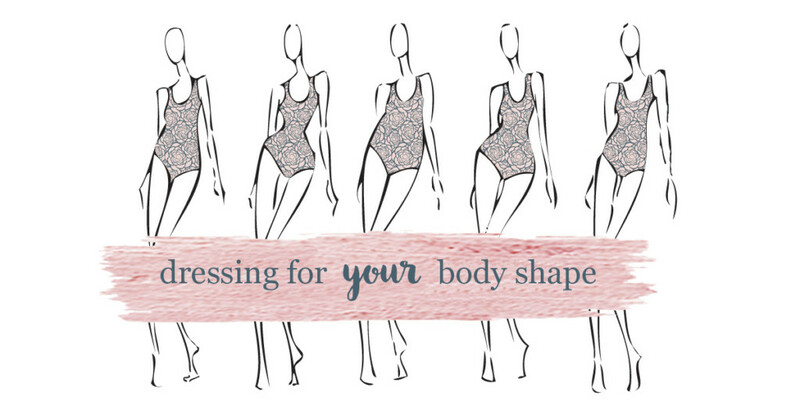 After answering a few of these we realized a common theme and felt that a post on tips for how to dress for your body shape was in order! The most important thing to know and maybe the hardest to swallow is that not all trends work on all body shapes. Dressing for your shape is about knowing what looks good on you and adapting trends to your own personal style. If you feel great, you will look great. And that’s where we come in! 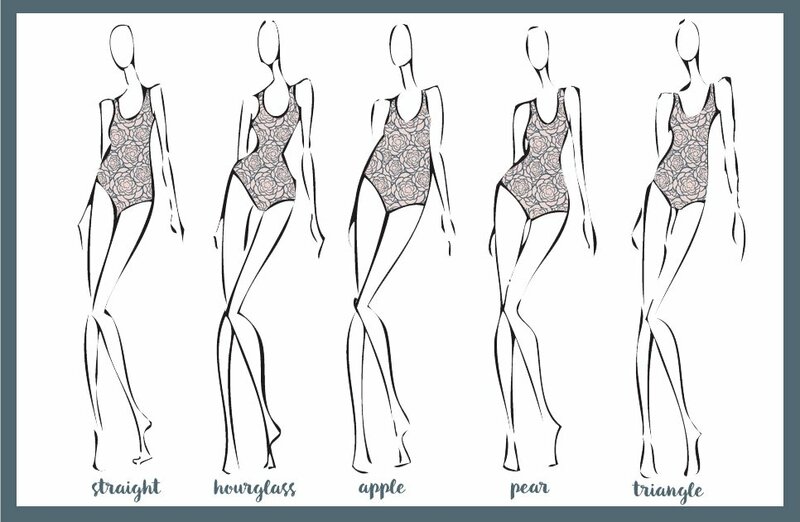 We have rounded up some tips and tricks for understanding your body type and highlighting your best assets. We have narrowed down body shapes into 5 different categories. Straight, Hourglass, Apple, Pear and Triangle. 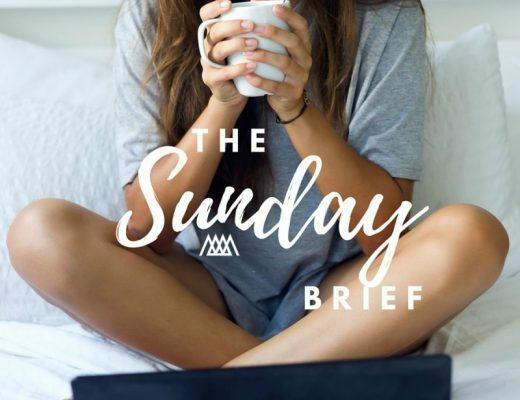 We could go on for days trying to define the numerous amounts of body shapes, but ultimately we came down to these five types. Let’s now address a few elephants in the room.. First, what about chest size? I would lump chest size in with shoulder width. 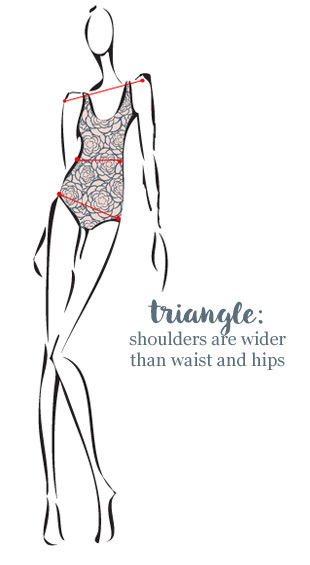 For example if your chest is much wider than your waist or hips you would be considered a triangle body type. Second, what about height and weight? While there may be parts of our body that we can effect, our frame will always remain the same. Once you understand your body shape, finding the pieces to flatter your figure will be easier to find. There are 3 key measurements to understand on your body. Shoulders. Waist. Hips. 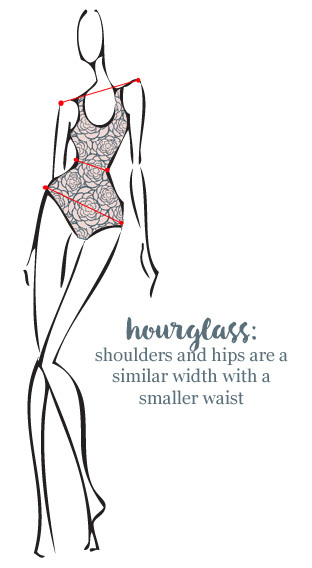 The difference between these measurements will make up your body shape. Later we will take into account height, but for now we are looking at your beautiful curves. 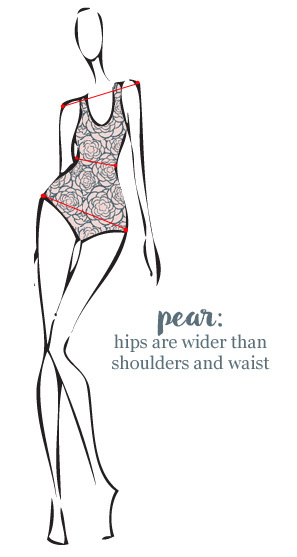 I for one don’t need a mirror to know that my bum is much wider than my waist and hips (I am a ‘pear’ and Lindsey is a ‘straight’ for reference), but if you are curious stand in front of a mirror and take into account the three measurements. Now that you understand your body shape… the key to flattering your figure is to emphasize your curves by balancing your proportions and creating vertical lines. Ever wonder why it is so hard to pull off horizontal stripes? It is because your eye stops at every single stripe and each stripe cuts your body into another segment. Instead of creating more horizontal lines we want to create vertical lines to elongate your body. Dressing in a similar color is the easiest way to do this, but sometimes all black just doesn’t strike our fancy. The key is to know where your widest curve is so that you reduce the horizontal lines ending at that point. For example, if my widest width is my hips I don’t want my shirts to end at the widest point because this will only make me appear wider. The eye will stop at the horizontal line made by the hem of my shirt. Hence, why I constantly am doing the front tuck to try to accentuate my waist rather than my hips. What to try: Accentuate your waist by adding volume to the top and bottom. Key Pieces: Fit and Flare dresses, Swing Skirts, Wide Leg Pants and Peplum Tops. What to try: Play up your curves by highlighting waist. Key Pieces: Belted Dresses and Jackets, Pencil Skirts, High Waist Pants and Off the Shoulder Tops. What to try: Highlight your shoulders and legs to minimize your midsection. Key Pieces: Shift Dresses, Swing Coat, Tunics, Dramatic Sleeve tops and Maxi Dresses. What to Try: Balance the bottom by adding volume on top. Key Pieces: Shoulder interest, Cropped Sweaters or Jackets, A-line skirts and Bootcut or Flare pants. What to try: Create curves by drawing the eye to the waist and hips. Key Pieces: Printed Bottoms, full skirts, Scoop and V-neck tops and long vests. Phew! That was a lot of information but hopefully this was useful in helping learn how to dress for you r body shape and adding some pieces to your wardrobe that will highlight all the right places 🙂 Ok! Tell us what shape you are!